Vodafone to rebound into the arms of AT&T following Verizon divorce? European mobile network Vodafone, is the subject of takeover interest from across US carrier AT&T, Bloomberg is reporting this weekend. AT&T is reportedly taking a close look at Europe's largest carrier and is even weighing up which parts of the business it would keep and which it will jettison, according to those familiar with the talks. Should AT&T follow through and take charge of Vodafone, the result would be the world's largest mobile network, if judged on sales, with over 500 million customers. 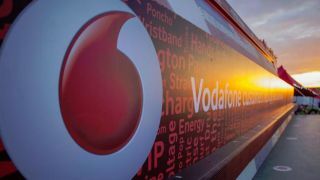 Should the Vodafone consideration come to nothing, the American carrier is also considering a bid for British network Everything Everywhere as an alternative, the report claims. The news comes just a couple of months after Vodafone accepted a $130 billion package from Verizon Wireless to buy out their partnership. AT&T would need to wait for that deal to be completed early next year before making its move. So far, AT&T and Vodafone have declined to comment. Verizon Wireless, it can be assumed, wouldn't be overly pleased if former partner Vodafone jumped straight into bed with its biggest rival in the US.